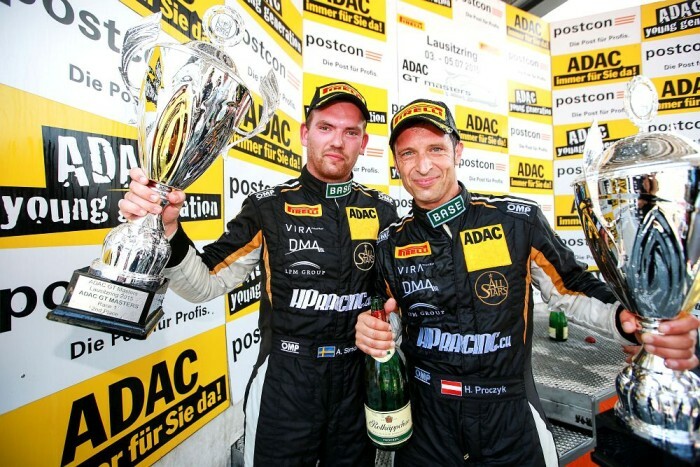 The race weekend at Lausitzring marks the end of the first half of the 2015 ADAC GT Masters season. 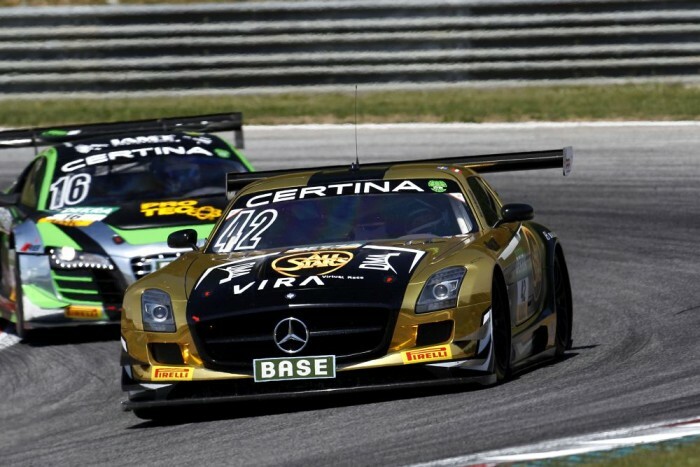 The young and successful HP Racing Team contests the series in a Mercedes-Benz SLS AMG GT3. Andreas Simonsen (SWE) and Hari Proczyk (AUT) share the car this weekend, battling for places in extreme temperatures of more than 34° Celsius. 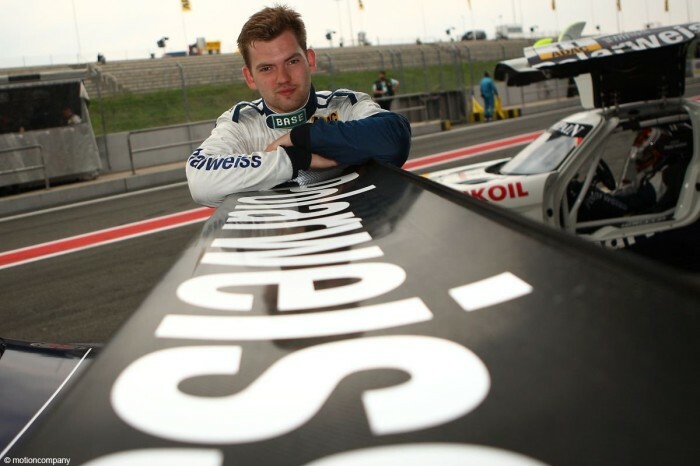 The two drivers claimed positions P6 (Hari Proczyk) and P11 (Andreas Simonsen) respectively in the qualifying sessions, despite the strong competition. The start into the race on Saturday took place in scorching temperatures. The thermometer showed an air temperature of 35°Celsius, with a track temperature of almost 50°. Hari Prozcyk in P6 defended his position during the start. The safety car was deployed shortly after a crash during the start. A short time later, the race was halted due to a long trail of oil on the track. In P6 again for the restart, Proczyk stayed on the track until just before the pit-stop window closed and was able to break away. Simonsen emerged in P3 after a perfect pit stop. The Swede immediately put pressure on the second-placed BMW, waiting until the very end for a perfect chance to overtake the car. In the final lap, Simonsen used his chance of passing the BMW on the final metres, crossing the finish line with a 0.039-second gap. 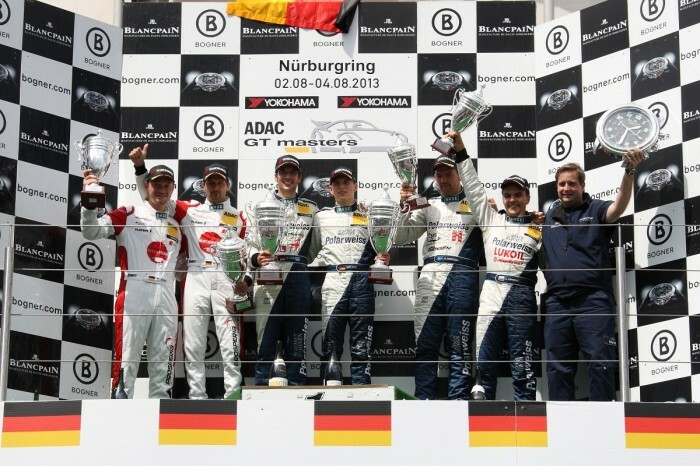 The team was thrilled with P2 and the podium finish in the first race. Andreas Simonsen was first to take the wheel in the race on Sunday. However, the team had to retire early. In lap 14, even before the driver-change, Simonsen detected a failure of the brakes. Immediately heading for the pits, he had to retire his gull-winged car early.